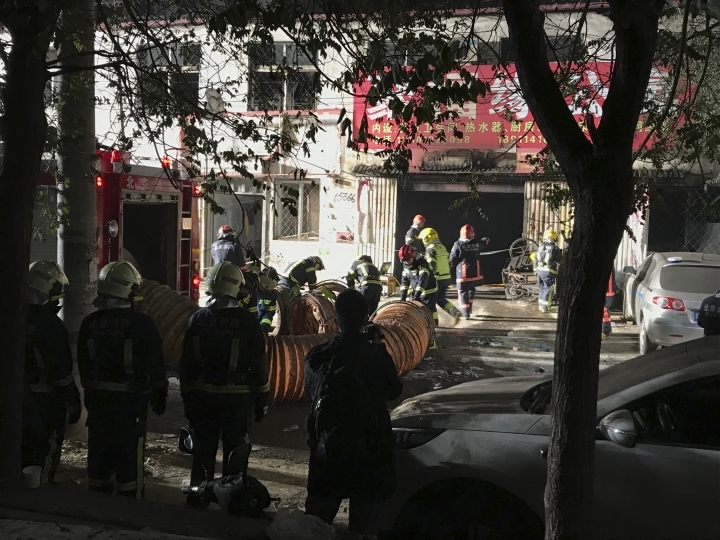 BEIJING — A fire at a building advertising low-cost rental apartments in a southern Beijing suburb killed 19 people and injured eight others, official media reported Sunday. 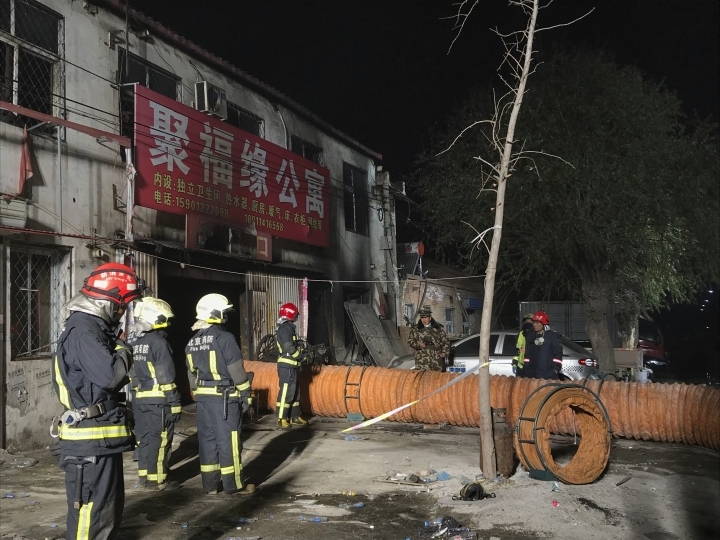 Firefighters put out the fire at Xinjian Village in the district of Daxing by 9 p.m. Saturday, three hours after it was reported, Xinhua News Agency said. It said the injured have been taken to a hospital for treatment. Photos released by Xinhua showed firefighters outside a two-story concrete building with a red signboard advertising units with attached bathrooms, hot water, kitchens, heating and other basic amenities. Such units are commonly rented cheaply to migrant workers who take on low-paying, labor-intensive jobs in the city. Migrants who travel to big cities looking for work often have few housing options to choose from because a household registration system excludes them from government-subsidized homes. Some reforms are underway but critics say the pace of change is slow. Reached by phone, the local fire department and district government refused to comment. Authorities were closely controlling information related to the fire. Internet censors blocked searches about the fire on popular microblog sites. Independent reports by some Chinese news outlets were taken down and replaced by Xinhua's report, which included few details.